DALLAS - A dog belonging to Dallas nurse Nina Pham has so far tested negative for Ebola. City officials say the one-year-old dog named Bentley will be tested again before his quarantine period ends November 1st. Pham is in good condition at the National Institutes of Health in Maryland. 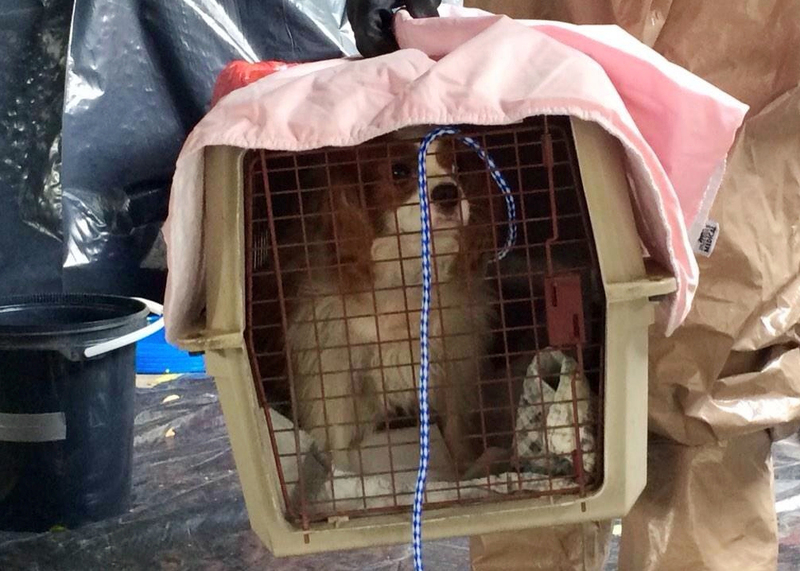 Officials say the year-old King Charles Spaniel belonging to the Dallas nurse hospitalized with Ebola has been given comfortable bedding, toys and other items to entertain him while he stays at a decommissioned naval air base. City spokeswoman Sana Syed said Tuesday that Bentley is staying in the former residence of the executive officer at the decommissioned Hensley Field, which is owned by the city. Bentley was moved Monday from nurse Nina Pham's apartment to his new home, where he'll be monitored. Bentley is being cared for in a partnership between the City of Dallas Animal Services, the Texas Animal Health Commission, Texas A&M University and the College of Veterinary Medicine & Biomedical Sciences, the Texas Department of State Health Services, the American Veterinary Medical Association and the Centers for Disease Control, CBS Dallas reported. There was an uproar in Spain after Madrid authorities euthanized a dog belonging to a nursing assistant sickened by Ebola. Authorities were concerned the dog might be harboring the virus.